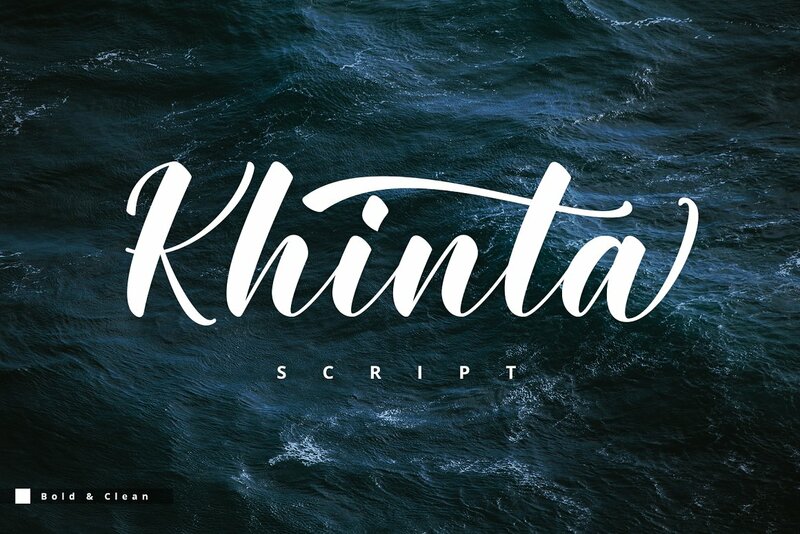 Download Khinta Script font for free. Khinta Script is a font / typeface offered for free. please note that if the license offered here is non-commercial you have to obtain a commercial use license / permit from the original author. This is a new font script. Khinta comes with a bold and clean style, in this font you will find a style that is firm, luxurious and simple. Available 400 glyphs in it! So you can use it freely as you wish and your design work needs! If the Khinta Script font is offered under 'commercial use free' or 'creative common' license, feel free to use Khinta Script font for any purpose.